Vermont, the Green Mountain State, is located in the northeastern part of the United States. The state’s nickname is due to its mountainous terrain, which makes it a good place to hike and ski. 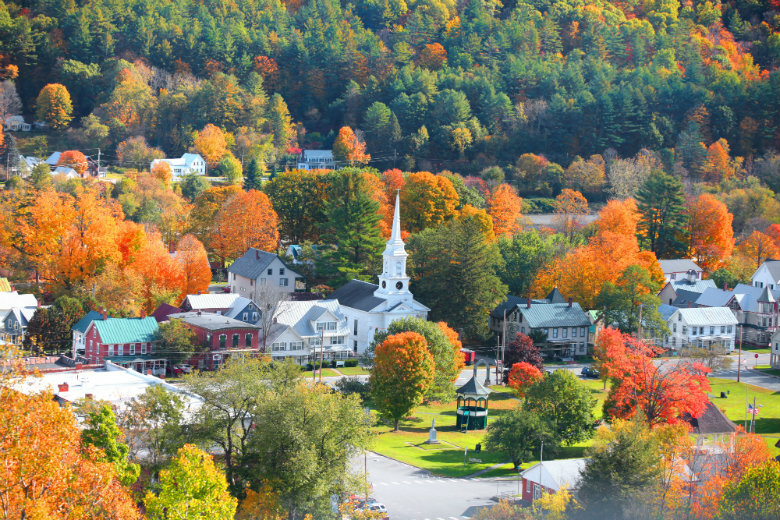 Due to the state’s relatively small population, Vermont is made up of many small towns, built on community and neighborliness. If you are considering moving to the state, your options are endless. From a cabin at the lake to a home in the mountains, the landscape is breathtaking. The scenery is just one of the many reasons why people choose to relocate to the area. We understand that moves can be challenging. This is why we, at National Dispatch, offer a wide range of vehicle shipping services, for those needing to transport their car to and from Vermont. This is an easy, safe, and affordable alternative to driving the vehicle, yourself. The most popular reason why people use an auto shipping company is because they are moving homes. However, there are many other reasons why you might need vehicle shipping services. Check them out below. Seasonal Moving. If you currently live in Vermont, you know that the winters can be tough. If you aren’t suited for the cold weather, then snowbird car shipping may be for you. Snowbirds are seasonal travelers who go to a warmer destination in the fall to escape the winter months. Many snowbirds utilize car shipping services to save them time, and so that they can enjoy their car while on their extended “vacation”. College Car Moving. Are you a recent graduate? Although Vermont may be small, it is home to numerous colleges and universities, including the University of Vermont and Middlebury College. While you are away at school, having a car on-campus can be beneficial. However, there are many hazards associated with driving a vehicle long-distance. Choose the safer alternative. Have your car shipped to college. Purchasing Out Of State. Local dealerships may not have the exact car you are looking for. This causes you to look outside of your state to find the perfect car. Once you have found it, you must concern yourself with how you will get it to your home. Use National Dispatch to get your car from the dealer to your home. It’s fast and easy. Not only is Vermont known for its beautiful landscapes, but it is known for its high quality of life. This makes it the perfect place to settle down. How do you know which city is right for you? 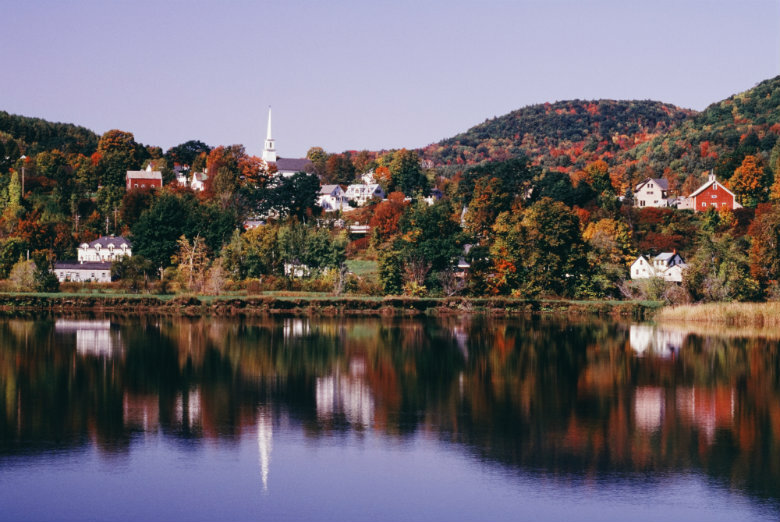 We have assembled a list of 5 of the most popular cities in Vermont. Check them out, below. Burlington is known as Vermont’s Queen City, as it is the largest city in the state. It is filled with history, charm, and many amenities that attract visitors each and every year. You can walk the brick-paved streets of downtown to check out the shops and restaurants. Downtown also hosts musical performances, as well. Since Burlington is located near Lake Champlain, it is the perfect place for outdoor recreation. The Waterfront Park attracts visitors who love to sail, swim, kayak, paddleboard, and more. Montpelier is the state’s capital city. It is easily accessible via the interstate. Therefore, getting to its neighboring states is a breeze. When you are in the city, you can walk or bike through the streets. Like much of the rest of Vermont, there are numerous opportunities to partake in outdoor activities. There are two rivers that run through town, which residents and visitors like to kayak. You will also want to check out Hubbard Park and North Branch River Park. In addition, finding employment shouldn’t be a problem, as many insurance companies are located in the city. Middlebury, located in Addison County, is home to over 6 thousand residents. It is located in the Champlain Valley, and is consider to be a rural community. Middlebury College is located in the area. The private Liberal Arts College has received recognition for being one of the best educational institutions in the state. The town is small and quaint, so there is not much to do. However, if you take a short drive right outside of town, you will find places to hike and ski. Stowe is located less than an hour away from Burlington and is easily accessible via the interstate. It is a popular tourist destination for those looking to ski and take in the awe-inspiring views. For many, Stowe is their second home. However, for others, it is there only home. Some of the top employers are the lodges and resorts in the area. These include Topnotch Resort, Stoweflake Resort, Stowe Mountain Lodge, and Stowe Mountain Resort. There is more to the town than skiing. Many families are attracted to the area because of the school system. Essex, located in Chittenden County, is Vermont’s second most populous city. Located between the Green Mountains and Lake Champlain, the city offers spectacular views. With its affordable housing options and excellent schools, Essex makes a great place to raise a family. There are also plenty of employment options with local companies. Travel outside of town is easy, with the airport being located within minutes. In addition, you can get to Burlington, VT in less than half an hour. Are you in need of vehicle shipping services to or from Vermont? It does not matter the reasons why you need car shipping. We can assist you with all your auto transport needs. At National Dispatch, we offer both open and enclosed auto shipping services. Request a free, instant car shipping quote by using our online quote calculator. No personal information is required to get a quote in seconds. Just four simple fields. If you prefer to speak with a representative, call us at 800-321-2051.